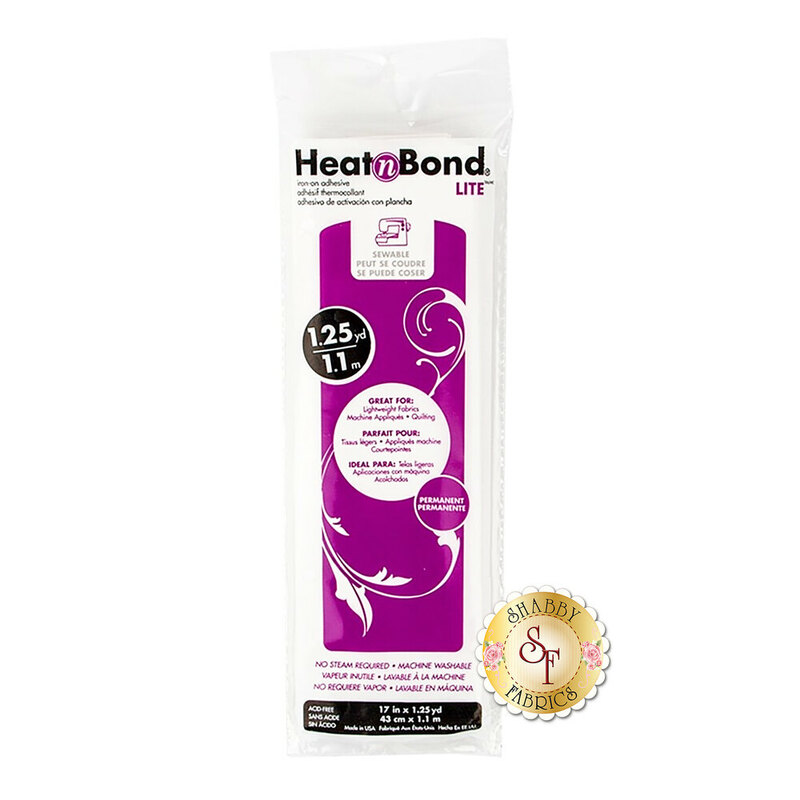 Heat N Bond Lite is a paper backed adhesive that is activated by heat. This double-sided adhesive is iron-on and sewable, making it great for bonding fabric without adding any weight or stiffness. You can also draw or print directly on the paper backing to easily design your own applique shapes. Measures 17" wide x 1¼ yds.